Don't hesitate to contact us by email or call us on +33 (0) 3 85 40 55 50 right now to book your next river cruise in Belgium. Belgium is not the only area available with alpha-croisiere.com. Discover all the other destinations of river cruise that we can rent you. Rent with alpha-croisiere.com your boating holidays to enjoy one of our river and canal boats on Belgium waterways. We offer the largest selection of barges on the market. Consult the list of all our river and canal boats available in Belgium to find the most suitable for you and contact us for more information. 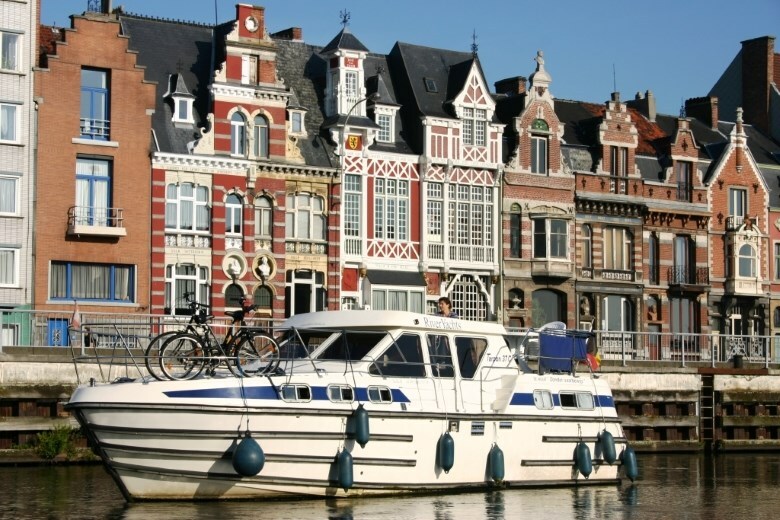 Belgium, and Belgian province Flanders in particular, boasts the most extensive network of navigable waterways in Europe, its canals and rivers providing the perfect opportunity to explore its lush green countryside and its regional park of canals and castles and to admire its breath-taking architecture. Even if you only have one week in the area, there are a number of loop routes to choose from to ensure you pack plenty of variety into your cruise, and you're sure to be impressed by the sheer diversity of the canals and rivers here. Belgium is very easily accessible by road, rail and air, with many flights, and low-cost flights in particular, into Brussels. Of course, Belgium being a 'flat country', you will find you have very few locks to deal with here, too. Take the opportunity to explore a heritage built on and around the many canals and navigable waterways the country has to offer. Whatever your tastes or areas of interest, you're sure to find something to suit you throughout your cruise. 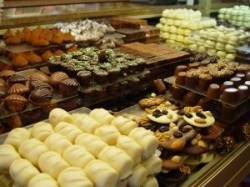 Foodies will be spoilt for choice between the 300 varieties of Belgian beer and the abundance of home-made chocolates, which have long established a reputation for themselves. But the most extraordinary part of your trip will undoubtedly be the opportunity to explore the country's fabulous architectural, cultural and historical heritage, its fairytale architecture and its mobile stalls as you visit cities such as Brugges, Ghent, Nieuport, Antwerp, Brussels and Mons, among others. If you have a little time to spare, why not visit the Park of Canals and Castles, where you can't fail to be impressed by the sheer concentration of castles, museums, industrial and religious heritage, green spaces and leisure and relaxation areas in one region. Man's creative engineering has resulted in the continuous construction in the region of various structures including boat lifts, inclined planes, a boat funicular, lift bridges and swing bridges, among other things. Children from 7 to 77 years of age will also enjoy a visit to the Hergé museum near Brussels, where they will discover or rediscover the work of the man behind the adventures of Tintin and Milou. 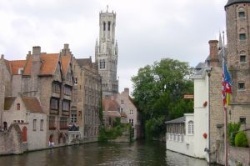 Don't forget to stock up on chocolate in the city of Bruges, also known as the Little Venice of the North thanks to its labyrinth of canals and arched bridges. 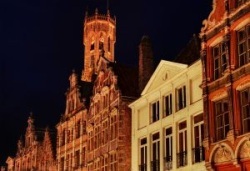 The former drapery city of Ghent, meanwhile, is the former Flemish capital of Belgium and is well worth a stop for a wander through the little streets of this beautiful Gothic city and a visit to its museum of contemporary art. Braver travellers might even fancy climbing its UNESCO World Heritage-listed belfry. Switch from the freshwater to the saltwater with a stroll along the magnificent Nieuwport beach, and be sure to sample the local seafood while you are there. Antwerp is one of the capitals of the diamond industry, but if you've children to entertain you may prefer to head for the city's zoo or its Aquatopia aquarium.